Canadian travel agents at Westport House, with Sandra Moffatt (Tourism Ireland). A group of Canadian travel agents has been exploring Mayo and the island of Ireland this week – as guests of Tourism Ireland, Fáilte Ireland, Tourism NI and Air Canada. The travel agents flew to Shannon on Air Canada’s new direct flight from Toronto, which was launched in June – so, the visit was a good opportunity to highlight ease of access for Canadian holidaymakers to the West of Ireland. They attended a ‘Canadian Expo’ B2B workshop in Athlone and a networking event in Belfast – organised by Fáilte Ireland and Tourism NI – where they met with local tourism companies to negotiate for their 2019 programmes. They also undertook an action-packed fact-finding visit – visiting attractions like Glen Keen Farm and Westport House. 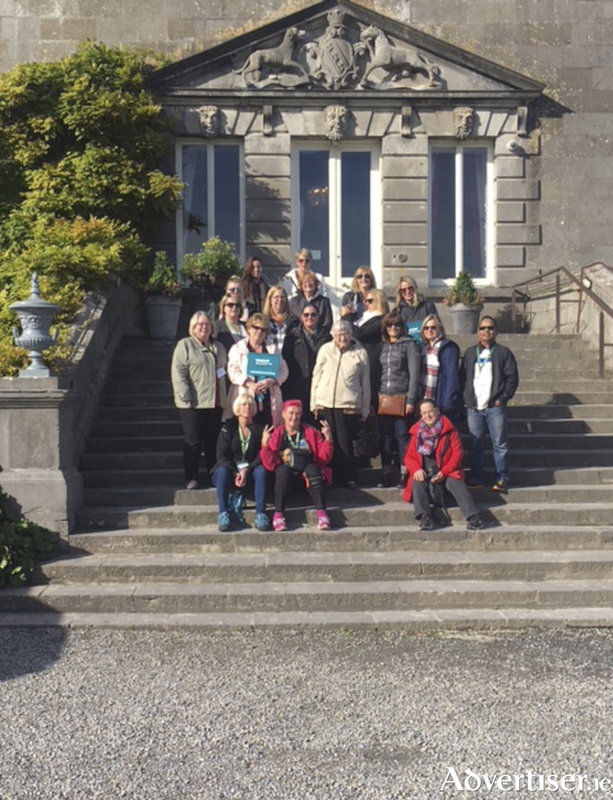 "Tourism Ireland was delighted to invite these Canadian travel professionals to visit Mayo and the island of Ireland, to see and experience some of our many great attractions and to encourage them to include Ireland in their programmes for 2019. "Air Canada’s new flight from Toronto to Shannon, which was launched earlier this year, is good news for tourism to the West of Ireland – providing Canadian holidaymakers with easier-than-ever access to the Wild Atlantic Way. 2017 was the best year ever for Irish tourism from Canada – with visitor numbers increasing by 11% over 2016. We are determined to ensure that success continues." 2018 looks set to be another good year for Irish tourism from Canada and the United States, with the latest CSO figures showing over 1.6 million visitors to Ireland from North America during the January to August period this year – an increase of 13.2% when compared with the same eight-month period in 2017. Tourism Ireland is rolling out an extensive programme of promotions in Canada this autumn – which includes co-operative promotions with key airline and tour operator partners, email marketing and social media promotions, as well as online advertising on popular websites.